Ramgarh is a city in the Indian state of Jharkhand. Ramgarh RTO is operational as per the motor vehicles act of 1988. It is directed by the transport commissioner. It performs multifold functions to ensure smooth operations in the RTO. Various activities are performed to maintain traffic rules and regulations. The motive of the establishment of Ramgarh RTO is the improvement of transport and traffic in the city. Ramgarh RTO organizes many training programmes related to road safety awareness and driving schools. RTO in Ramgarh controls all the driving schools in the city. It conducts the tests related to the vehicle emissions and driving license. Vehicle emission tests are performed to grant roadworthiness certificates to all the vehicles. Theoretical and practical driving tests are conducted to issue the driving license to the aspirants. After clearing the driving tests only they are entitled to get their license. New vehicles purchased in Ramgarh must apply for RC from it's RTO. RC is one of the mandatory document for all the vehicles. In order to possess it, there's a proper process that needs to be followed. Certain documents need to be submitted along with a nominal fee. After receiving precise documents from policyholders, RC is issued within no time. No objection certificate (NOC) is required if you shift your vehicle from another state to Ramgarh. For the initial three months there is no problem but after that tenure NOC is mandatory. In order to get the NOC, visit to Ramgarh RTO is a must. For granting NOC, RTO requires a nominal fee and few documents. Vehicle fitness certificate is mandatory for all modes of transport. Unfit vehicles may lead to a lot of issues. Roadworthiness certificate is granted after checking the vehicles thoroughly. Tests are conducted to check the fitness levels of the vehicles after that vehicle fitness certificate is issued with ease. RC must always be updated with the latest information. Amendments in RC might be required several times. You may need to contact RTO for same. The time when these changes are required could be to alter the contact details. Other times when changes are required is the transfer of ownership of vehicles. Anyone who wants the driving license in the city of Ramgarh must visit RTO there. In order to get the driving license, there are a few steps that need to be followed. Firstly there are few mandatory documents needs to be submitted to the Ramgarh RTO. Along with documents, there are tests that need to be undertaken. Test that an individual need to take can be practical and theoretical. 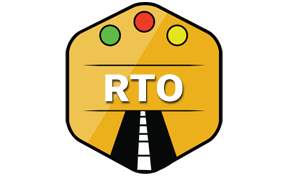 Once a person successfully clears paperwork along with tests, can receive the driving license within a day from Ramgarh RTO. Anyone not following the traffic rules or creating any offense from their vehicles are punished by the traffic police. They issue challan that is managed by the Ramgarh RTO. Regular offenders are tracked, a strict action may be taken to prevent the reoccurrence of the offense. The District Transport Office (DTO), Ramgarh, Jharkhand - 829122.